Alembic distills complex, animated scenes into a non-procedural, application- independent set of baked geometric results. This ‘distillation’ of scenes into baked geometry is exactly analogous to the distillation of lighting and rendering scenes into rendered image data. Alembic is focused on efficiently storing the computed results of complex procedural geometric constructions. It is specifically NOT concerned with storing the complex dependency graph of procedural tools used to create the computed results. For example, Alembic will efficiently store the animated vertex positions and animated transforms that result from an arbitrarily complex animation and simulation process, but will not attempt to store a representation of the network of computations (rigs, basically) which were required to produce the final, animated vertex positions and animated transforms. Note that the versions given parenthetically above are minimum-tested versions. You may have good luck with later or earlier versions, but this is what we’ve been building Alembic against. Some of the available build options can be found in the CMakeLists.txt file. 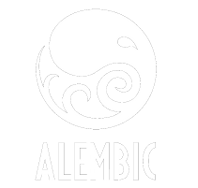 In order to use Alembic in Python, you must first build both Alembic and the Alembic Python bindings. The Alembic Python bindings have been tested with Python 2.6, and require PyImath and Boost::Python libraries to run. The Introduction to PyAlembic document is intended to serve as a brief introduction and programmer’s guide to using the Alembic Python bindings. You can also search the Python Module Index.